Rob Siegel, author of Memoirs of a Hack Mechanic, drops in at R&T to provide a loving look at the mechanical magic that is your ride's carburetor. His piece, Taming the Wild Carburetor, is a great read, supplemented with bonus photos of the carb from Zach Bowman's Scout. One of the mandatory automotive jokes is that "carburetor" is French for "don't touch." 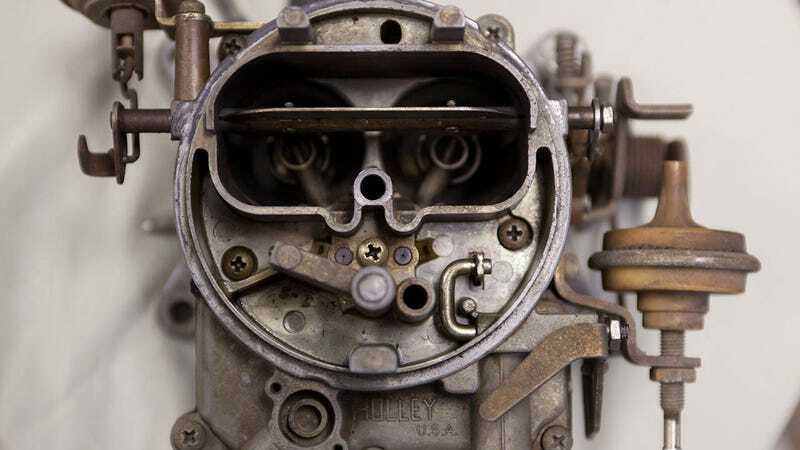 Funny thing—the derivation of "carburetor" is actually French, from the word carburer, meaning "to combine with carbon" or, idiomatically, "to tune." The etymology is informative. Gas needs oxygen to burn or explode. To get a controlled explosion, the lifeblood of internal combustion, you need to combine oxygen and atomized gasoline in the right ratio. These days, this function is performed by computer-controlled fuel-injection systems. But for generations, the carb was the only game in town. That's how it opens. Now read the whole thing.